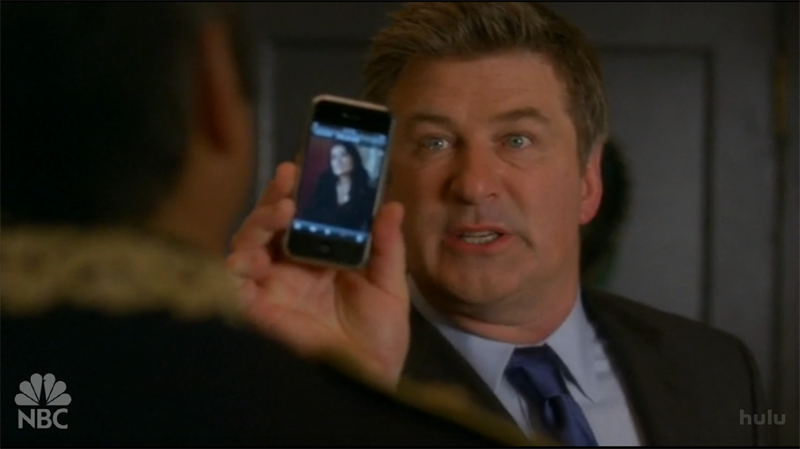 So What's Up With the iPhone Love on 30 Rock? No one is better at the in-show product placement—an increasingly necessary evil in the business—than 30 Rock. But while most of them are obvious—McFlurries, anyone?—Liz and Jack's iPhones have us confused. The Office/30 Rock hour is already an iFest—you can expect at least one App Store commercial to hit during each show almost without fail. Apple's obviously hitting a demographic sweetspot here, which lends a certain feel of suspicion to the serious iPhone placement in the last few episodes. Jack and Liz both are constantly showing photos to people on their iPhones, and even the Generalissimo gets to use one. The kicker is that without fail, the tongue-in-cheek (but still for real money) product placements from the likes of Snapple, McDonalds or SoyJoy always get some kind of official mention in the credits, as you can see. But there's nary a mention of Apple. Some have spotted Apple shout-outs in episodes downloaded on iTunes, but there aren't any on the regular broadcast or on Hulu. This could be completely unrelated to the placement, since it's found on Apple's turf already.